The Rodeo Bull is charged at £275 for three hours including our fully trained staff at all times. The rodeo bull is fantastic addition for any event especially weddings, Birthday parties, Graduation Balls, University Balls, School proms, Military events. 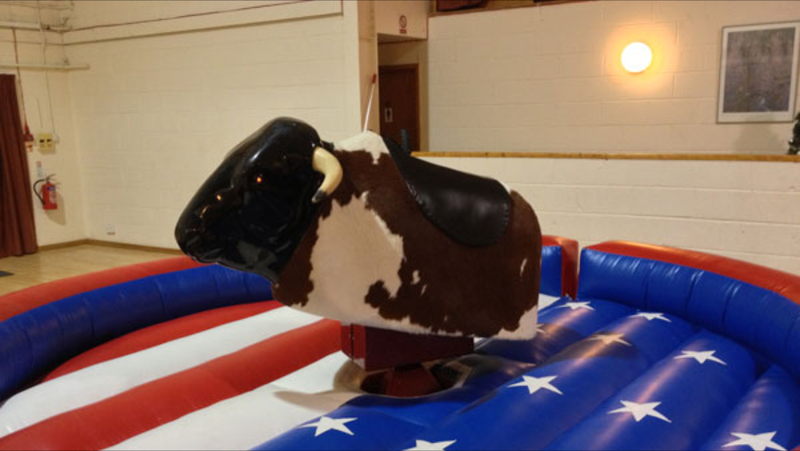 The Rodeo Bull or Bucking bronco as they are also known are also a popular promotion tool for exhibition stands, Nightclubs and pubs. The different attachments we have available gives our rodeo bull extra theming power. Reindeer or Bucking sheep (Great entertainment option for Christmas parties!). There is also a special adult themed attachment especially suited for hen parties!